It's getting toasty warm out there so naturally, we're looking for ways to cool off, save money on our electrical bills, and lower our water usage. 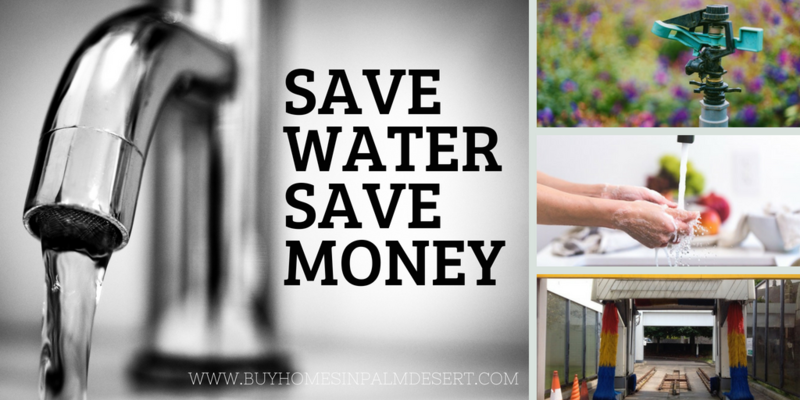 Before we reach into the hundreds, which is already happening this week, here are seven ways to lower your water bill this summer. #1. Check for any leaks. Check your toilets, dishwasher, faucets, and underneath sinks for any potential leaks. If there's mold, mildew, or it's damp, you have a leak somewhere. It's best to figure this out now to save as much as possible on any leaks and construction on your home. #2. Use the dishwasher. This might sound counterintuitive but you actually use far more water hand washing dishes and if you use the dishwasher. Doing a full load in your dishwasher is more efficient than washing the same number of dishes by hand. This is especially true if you have an Energy Star appliance. Using one of these dishwashers could save you 5000 gallons of water a year, which could equal up to $50 or more in utility costs. #3. Use the car wash. You can save a few bucks by washing your car at home but you won't save water. You use 2 1/2 times more water hand washing the car then you would at the car wash.
#4. Water early in the morning or later at night. By letting your sprinklers go during the hottest time of the day minimize the benefits of watering. It evaporates quickly when the sun is hot so it's important to water first thing in the morning or even better, in the evening when the sun has gone down. The water can soak into the grass overnight and do a lot more for the health of your yard. #5. Use mulch. Mulch is great for making your yard look pretty but it also keeps the moisture in. Mulch creates fewer weeds, is more drought resistant, and creates a healthier garden and yard. Related: Can there be too much mulch? #6. Put things on timers. If your kids or your family take long showers, run the sprinkler for hours, or other ways they can waste water, it's time to put a timer on things. Set a timer on showers, running the water when you're brushing your teeth, or even outdoor sprinkler time. #7. Check the toilets. Slow drips from the inside of your toilet bowl can add up to gallons of water wasted a year. If you're not sure you have a leak, put food coloring in the toilet tank and then wait to see if the color makes it into the bowl. If you see the color in the bowl within an hour, you have a leak. Saving money this summer is as simple as organizing a few little things that you probably already do anyway. Have a wonderful and safe summer throughout Palm Desert and Palm Springs.